Being the best creatine is a tough claim, and I believe Everstrong is one of the best creatine products on the market for the average consumer. After all, there are so many supplement companies that produce creatine or creatine blends for bodybuilders wouldn’t one of those be the best creatine? They might be if pumping up your muscles is your primary concern. Bodybuilders and Crossfit athletes put a lot of effort into their workouts to gain muscle mass. Yes, to some degree that is the goal of golfers too, but most golfers are more concerned about performance than building bigger muscles. Creatine blends developed for bodybuilders might be more than golfers need. Golfers want creatine to retain the muscle they have and to give them a little bit more energy at the end of the workout. Most creatine monohydrate products and their blended compounds are available only in powder form. A common complaint is that the powder doesn’t dissolve completely in water, and the last swig is gritty with a lot of the supplement remaining at the bottom of the glass. Bad taste is another complaint as most of the flavored creatines have a fake citrus taste. Regardless of how good any supplement is for you if you don’t like the taste or a lot of product remains at bottom of the glass how long are you going to consume that supplement? Everstrong doesn’t have any of those issues; it is available in tablet form. With a tablet, it is easy to consume all of the supplement and not have to worry about taste. 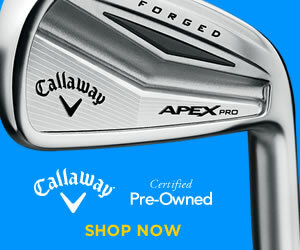 It was tested in a recent clinical study and the data showed that golfers gained significant strength, increased driving distance and swing speed after only 30-days of use. Everstrong is easy to consume, has no gritty or fake taste, and it has been shown to improve golf performance. These are the reasons I believe Everstrong is the best creatine on the market for golfers. Creatine monohydrate helps muscles recruit energy when needed. It’s one of the most widely taken supplements. And it’s legal and not on any of the restricted or banned lists developed by sports regulation committees. What you’re not a college, professional, or Olympic athlete so what does creatine have to do with you? In my opinion, everyone in their 40’s should be taking creatine monohydrate because it helps retain muscle mass lost during the aging process. Both men and women start to lose muscle mass around the age of 40. Muscle loss due to aging is called sarcopenia. For more information, I wrote an article entitled Supplements for Golfers. You can read more about how creatine works to build and retain muscle, slows down sarcopenia, and the presents the results of the clinical study. In summary, creatine is a safe supplement that increases muscle strength, provides more energy to the muscles that are naturally produced, enhances the speed at which the muscles work, slows down or eliminates muscle lost during the aging process, and has no side-effects. Everstrong, under its first name, Strong Drive, was used in a strength study specifically for golfers. The paper was written by Tim Ziegenfuss & his colleagues and published in the Journal of the International Society of Sports Nutrition in January 2015. The results show significant improvements in best driving distance and average driving distance after only 4-weeks of supplementation. The Supplement for Golfers article mentioned above has more details on the study, or you can download a copy of the paper by clicking the button below. Everstrong contains ultra-purified creatine monohydrate, Vitamin D, coffeeberry, and boron. The creatine is purified because some companies use a process that involves using toxic solvents to create the final product. In fact, if you follow the link, you can see their product is tested by the Olympic committee for pureness. Yes, the product label has changed since I originally wrote the article. However, I still check the product and update this article because I use Everstrong myself. Is the extract from coffee cherries (the outside fleshy part of coffee beans) that contains a small amount of natural caffeine. About as much as an half-a-cup of coffee. Is a product that contains boron and is helpful to the development of bone and joints. You can read more about FruiteX-B by following the link. The product is plant based and is non-GMO. The tablets, though not small, are not large either, are easily swallowed. They do contain some of the natural filler materials that help keep the product in tablet form. Nothing that most other vitamins and supplements don’t also contain. The tablets do break apart and dissolve easily in water. Below are two pictures of a tablet going into a small glass of water and the dissolved tablet. Everstrong is the best creatine on the market for the average user. I say this because of the proven results in the clinical study, the ease of use, and the other added supplements in the tablets. If you’re more concerned about bodybuilding then some of the speciality creatine products might be a better choice for you. But for the average Joe that wants to use creatine to reduce muscle loss, help them lift more during their workouts and get more bang for their time in the gym, I think that Everstrong is a great choice. Besides creatine monohydrate, Everstrong also contains 1,000 IU’s of Vitamin D, caffeine that has also been shown to improve workout performance, and boron derived from plants that benefit joint and ligament development. I also like that the creatine comes from a facility that is tested by a major sports organization for cleanliness and purity of product. You don’t see that mentioned on other creatine products. The cost of Everstrong is the only drawback. How much of a drawback? Well, Everstrong is going to cost over a dollar per recommended serving. 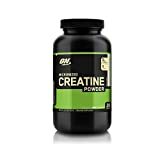 The best creatine powder that I recommended, Optimum Nutrition Creatine Powder, is around 20-cents per serving. Comparing the two isn’t an apple to apple comparison. Everstrong is in tablet form, so it is much easier to take, and if you travel it is much easier to pack away in your toilet kit. Everstone also has Vitamin D, boron, and caffeine that make it an excellent pre-workout supplement. The ON brand is pure creatine monohydrate and nothing else. Of course, that is what some people are looking for. The ON brand also is micronized, which makes it dissolve, or at least stay better suspended in water as you drink it. I’m not going to lie; it is still a little gritty. There are my myths about the harmful side effects of creatine. These claims are debunked by the substantial amount of research done on creatine. Some people do complain of bloating, nausea, diarrhea, and muscle cramping. I’ve never experienced any side effects, but that is not to say some people may have these issues. If you do notice a side effect, stop taking creatine immediately. Bloating is caused by taking too much creatine. If all of the creatine isn’t used by cells to build or repair muscle, the water stays in the cells, causing bloating. Lower the dosage and the bloating will go away. After reading a lot of research (more than just the paper listed in this article) the claims that creatine improves performance and helps retain muscle mass appear to be accurate. Now that I’m into my 50’s, it is important for me to stay as strong as I can and retain my muscle mass as I get older. I do feel that creatine gives me more energy during workouts when I play golf or do other physical activities. I haven’t tested if I can lift more when I take creatine compared to when I don’t, but it does feel like I have more left in the tank at the end of sets. Which creatine do I use? Both, some days I use the powdered creatine, and other times I use Everstrong. Everstrong is much easier to use when I travel or when I need to get up and going early in the morning. I use the powdered creatine whenever I have some juice in the fridge. Everstrong is much easier to use when I travel or when I need to get up and going early in the morning. I use the powdered creatine whenever I have some fruit juice in the fridge to cover the taste and suspend the powder in the fluid. Without a doubt, I like Everstrong much better, the tablet is so much easier to use and doesn’t leave a gritty feeling in my mouth like the powder creatine does. I think Everstrong is the best creatine tablet on the market. Everstrong can be purchased directly from Purity Products and Amazon. Amazon might have the lowest advertised price, but Purity does run specials, and you can get first-time buyers discounts. I would not recommend purchasing the automatic reordering from Purity, though. Of the complaints I have read, that is where people have the most trouble. You can buy more than one bottle, but don’t get talked into the automatic shipment. Below are four links for two creatine products I mentioned in this article. The first is Everstrong from the Purity Products website, check out their special first-time buyer deals and other discounts they may have. The price is less than what is listed. The second is for Everstrong from Amazon. The third is for the Optimum Nutrition Creatine Powder from Amazon. The fourth is ON Creatine capsules. I haven’t tried them, but they should be as good as the powder without the grit. You can’t go wrong with either product. If you are older than 40 years old, do some research on creatine and you will see that it is a supplement you should try.